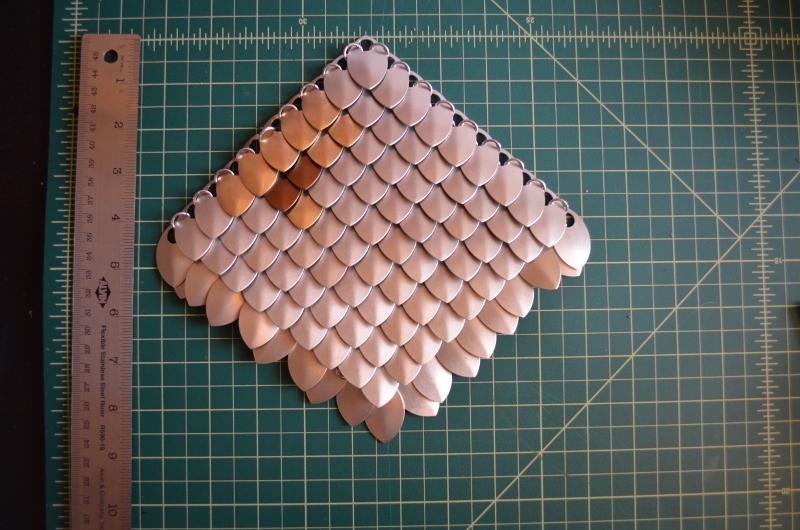 This post discusses the construction of the front bodice scalemail plate, and work on contractions. 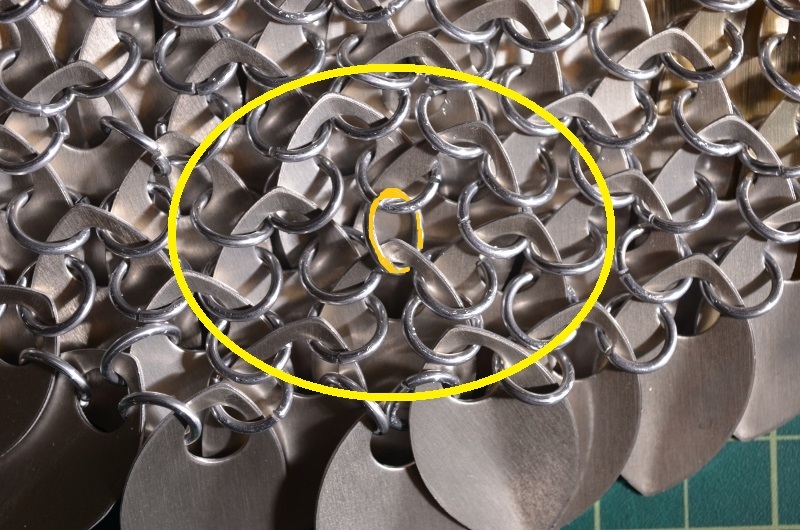 Please note, that the current scalemail plate is being held together with giant rings as it has been more convenient for testing, modeling, and fitting. I knew from the start of my project that I did not want a clunky, unfit bodice as I feared it would look sloppy and unfinished, in addition, I also wanted the bodice to be more like “skin” and less like armor. A tighter fit, I reasoned, would not only look more attractive, but by staying closer to my body, and even resting on my hips, it would possibly help with weight distribution to the top. During my initial research as to when to implement tailoring, I came across several forums (listed below in resources) which discussed the process of tailoring through contraction, but there was no definitive conclusion on the best time to implement contractions. Some comments pointed out that if you know where the contractions would be, it is easier to put contractions in as you went, while others recognized that it wasn’t much harder to include contractions after the piece had already been created. 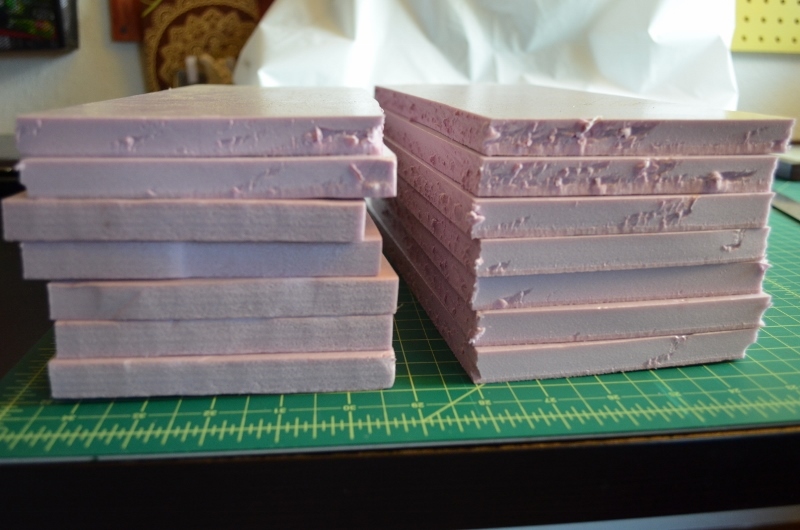 There seems to be a difference, however, in large scalemail and small scalemail, and there seems to be more repercussions for post construction contractions with the small scale. 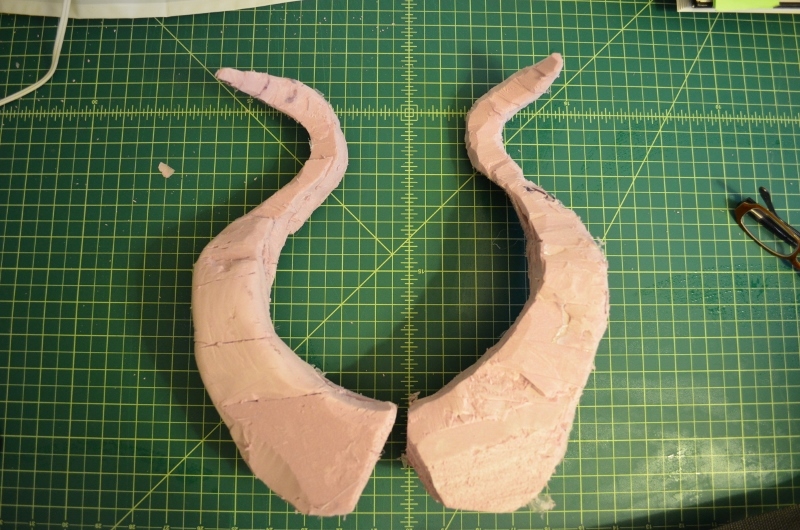 Since our full scalemail order arrived in the mail, I have temporarily suspended work on the horns, and began construction the bodice for my costume. Although excitement is the primary reason for temporarily leaving work on the horns, equally to blame is the fact that the scalemail is much cleaner (in terms of workspace upkeep) and easier to work on at a moment’s notice, in addition to the fact that I might have to create a replacement for the horn I botched during sculpting, and I’m possibly delaying the inevitable. Although seemingly more straight forward, the scalemail has been equally challenging in its own medium, and there are an equal amount of assembly questions to address in the near future. 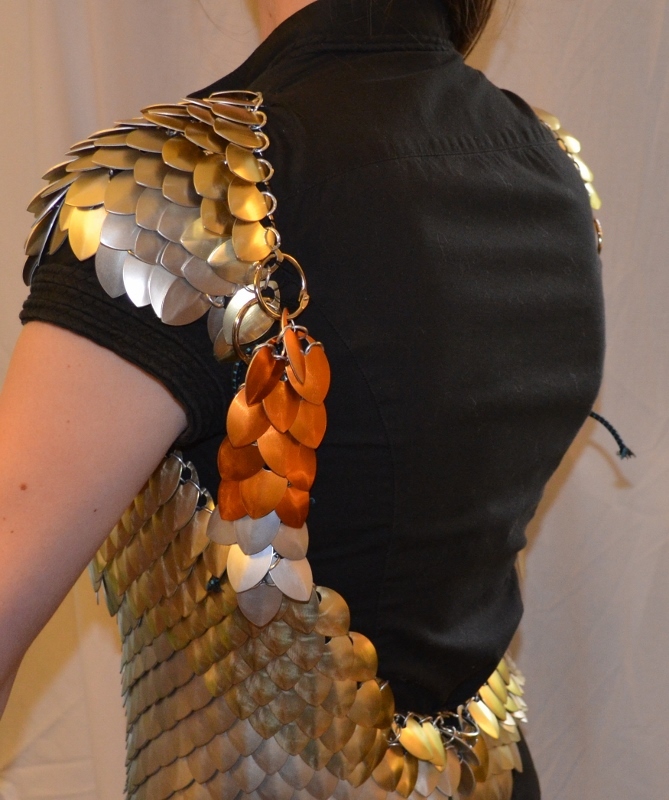 100 scalemail with champagne, brushed gold, and bronze. 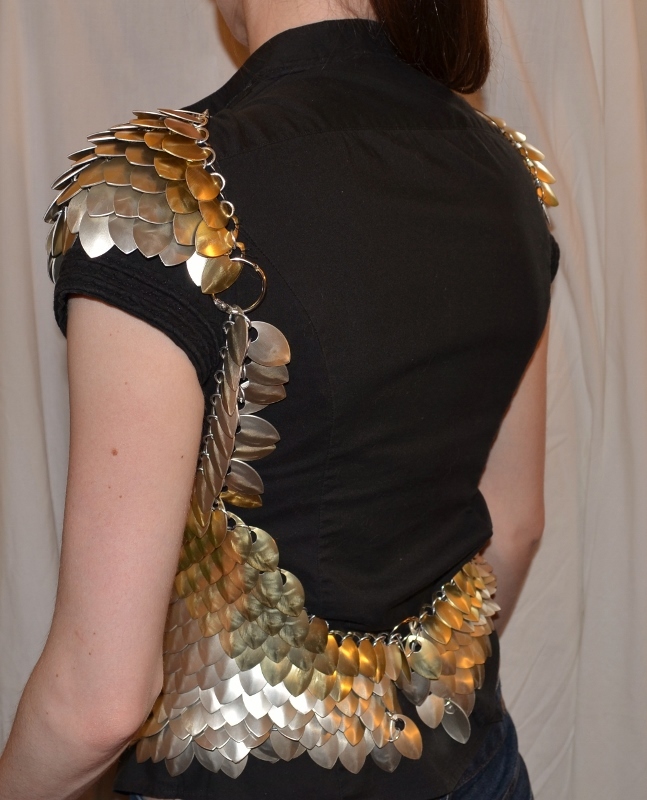 When I was first browsing the web (more notably Pinterest) conceptualizing the design of my costume, I was instantly drawn to the idea of using scalemail within the design, as the scale would be perfect for portraying the idea of a dragon. I was particularly inspired by a variety of bodice designs that appeared on the runway and in couture fashion, as I imagined the dragon being regal, majestic, and very queen like. Although it took me quite a long time to identify the medium, it did not take long to find a distributor. Although Etsy would like you to believe that you should spend an exorbitant amount on 10 individual scalemails, I found that The Ring Lord was a better retailer where you could by bulk cases of scalemail, connectors, and patterns if your heart desires. In addition to being one of the cheapest, the colors available leave little limitation to achieve the design I most desire, even though I still had yet to determine what that is. In 2011 I had found myself in a sticky Halloween situation. I was in the middle of my term at the University of Illinois at Urbana-Champaign (distance ed), and I was preparing to go to Champaign, IL for a four-day required trip to campus one week prior to Halloween. Thinking that I was not going to be celebrating Halloween because of my workload, the trip, and no party plans, I had not prepared a costume, although Stefan had been preparing to go to work as an Aperature Scientist for quite some time. So, when the invitation to a Halloween party came from some friends, I was torn as to whether to attend. On the one hand I wanted a break from school and a chance to socialize, but on the other hand, I was not prepared, and I had no clue what I should dress as being that my preparation time was limited. Giving the thought some consideration prior to my trip, I came up with the ingenious plan of going as a character from my all time favorite video game (at least the one I play most frequently, and I’m pretty sure I was playing it at the time I thought of my costume), the Sims (at the time it was 3), which would be not only incredibly easy to construct, but would also tie into Stefan’s video game themed costume.